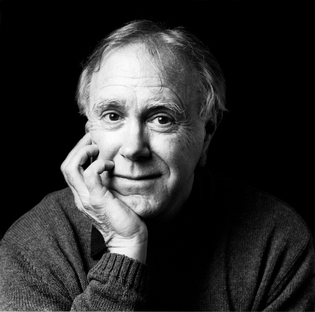 Robert Hass was born in San Francisco in 1941. He attended St. Mary's College and Stanford University. His books of poetry include Time and Materials, for which he received the Pulitzer Prize in 2007 and the National Book Award in 2008; Sun Under Wood, for which he received the National Book Critics Circle Award in 1996; Human Wishes; Praise, for which he received the William Carlos Williams Award in 1979; and Field Guide, which was selected by Stanley Kunitz for the Yale Younger Poets Series. Hass also worked with Czeslaw Milosz to translate a dozen volumes of Milosz's poetry, including the book-length Treatise on Poetry and, most recently, A Second Space. His translations of the Japanese haiku masters have been collected in The Essential Haiku: Versions of Basho, Buson, and Issa. His books of essays include Twentieth Century Pleasures: Prose on Poetry, which received the National Book Critics Circle Award for criticism in 1984, and Now and Then: The Poet's Choice Columns, 1997-2000. From 1995 to 1997 he served as poet laureate of the United States. He lives in northern California with his wife, the poet Brenda Hillman, and teaches English at the University of California at Berkeley.